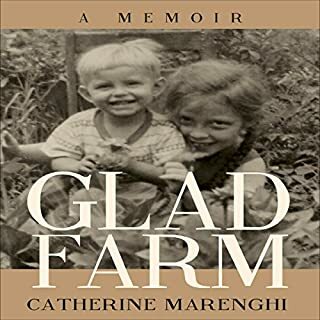 Raised in a primitive one-room farmhouse with no indoor plumbing, the fourth of five children, Catherine Marenghi begins her life in poverty and isolation. She leaves home at the age of 17. A decade later, she is a successful journalist with the means to buy her family their first decent house. But the past will not be put to rest so easily. Catherine unravels a web of long-buried family secrets, and a terrible betrayal that robbed her family of the home that was rightfully theirs. And she finally uncovers the story her parents never shared: the gladiolus farm that was once their dream. Here is a story of hope and insight written in a style resembling a poem more than standard narrative. Every word is interesting. It reinforces my long held confidence in the influence of those structures that we call our houses. 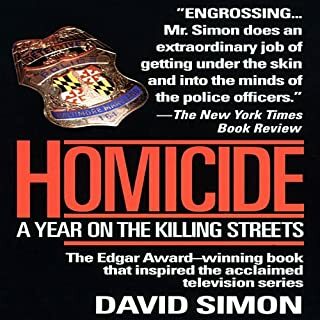 Even in this abridged version, enough of your favorite characters and stories to bring you back to the best moments of the epic HBO Baltimore series and the earlier still path - breaking "Homicide" (NBC). 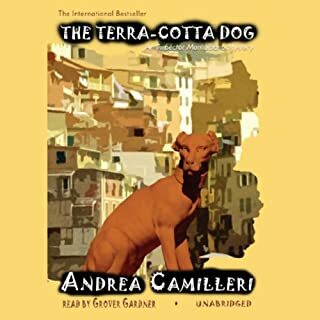 I adore the Inspector Montalbano Italian TV series, but to really appreciate master storyteller Andrea Camilleri and the complexity of his characters, you have to read his books. And, if you love all things Italy, especially all things Sicilian, a must read. Highly recommend. With Barack Obama's historic election in 2008, pundits proclaimed the Republicans as dead as the Whigs of yesteryear. Yet even as Democrats swooned, a small cadre of Republican operatives, including Karl Rove, Ed Gillespie, and Chris Jankowski, began plotting their comeback with a simple yet ingenious plan. These men had devised a way to take a tradition of dirty tricks - known to political insiders as "ratf**king" - to a whole new unprecedented level. We've all known about political gerrymandering, the boring, backroom re-drawing of district lines to protect incumbents. 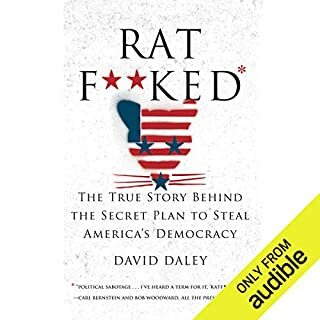 Ratf**cked describes the GOP takeover of our democracy through its "Red Map" strategy, a disaster author David Dailey thinks will be in place for decades. Hopefully, he is wrong. Like most pundits, he predicted HRC would win, though he said she would be unable to govern; this due to the hyper-partisan Congressional districts that GOP dominated State legislatures have put in place. So, while he could describe The Freedom Caucus's takedown of Boehner, the end of Congressional moderates, and the impossibility of passing legislation, he had no inkling of Trump. Read this book! In September 1943, Naples, under an iron occupation by the Germans, lay devastated by incessant bombing from Allied planes. The city was without food. As the bombardment continued, the famed scugnizzi - the street boys of Naples - grew increasingly exasperated by the passiveness of their elders. Known for centuries for their daring, verve, and enterprise, the boys staged an incredible revolt against the occupying Germans. 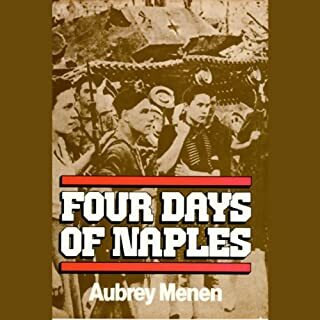 Great, compelling story about the street boys of Naples who launched a revolt against Nazi Germany occupiers, which the adults ultimately joined. A piece of World War II Italian history that everyone should know. Delightfully read. 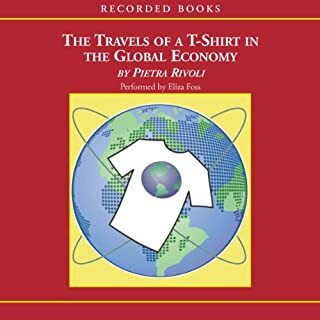 Rivoli does a great job of translating global economics into a great story. One that will surprise you and leave you with a much more complex understanding. My one concern: Though the basic economic story still holds up, the material covered is more than ten years old and some of the markets she desrcibes are pretty fluid. How about offering a way for readers to get access to her second edition and updated material, either via audible or kindle? I was very motivated to learn about the topic. Otherwise, I could never have made it through the narration. 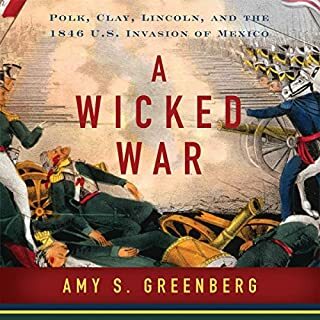 Would you recommend A Wicked War to your friends? Why or why not? The story yes. Not the listen. Would you be willing to try another one of Caroline Shaffer’s performances? Maybe. It is hard to blame this reader for what seems to be unfortunate editorial decisions, i.e. to have her change voice, accent and volume everytime a different character speaks or, more annoyingly, every time she reads a quote from an original source. What may have been a fairly good story was rendered overly academic and pretentious. In better hands, a very compelling story. Just do not let this author do the screenplay. Please, please do not rob readers of the chance to experience a good historical story. This is WAAAY too cluttered up with original sources and a very jarring, annoying performance. Just READ the story. Let it speak for itself. I couldn't get past the first 20 minutes. Impossible to understand the narrator. 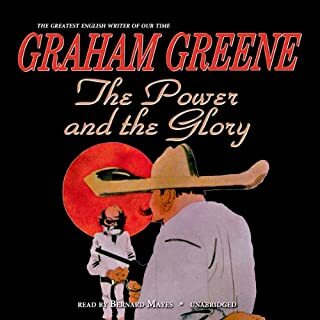 Would you ever listen to anything by Graham Greene again? Getting a refund. I hope.